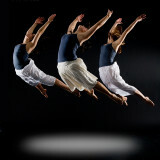 I made thousands and thousands of images of dancers in 2008 and created 18 dance galleries here on pbase! I have selected 4 special images from each gallery and placed it on a row. When I started 2008, none of these images existed and soon we will all start 2009. I hope there is much beauty and great opportunity awaiting each of us in 2009! Beautiful gallery, as usual Richard. Hermoso y admirable trabajo, felicitaciones! Your work is amazing! Truly beautiful! a wonderful collection of your work Richard, you can be very proud. Stunning collection of images once again Richard. All the very best to You and Your dancers for 2009 and beyond. All I can say WOW! 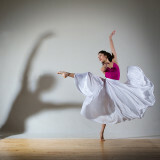 Amazing pictures and dancers! Had to come back and peek again... very clever i must say , to pick that particular image for the title. Stunning shots Richard, as usual. Looking forward to your photos for 2009. 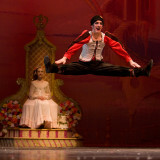 Richard, this is just a brilliant gallery of dancers of 2008. No words to say......great VINAYAK P M .
Hi Richard, Thanks for putting this brilliant gallery together. Wonderful work in 2008, and looking forward to more in 2009! Great selection of beautiful pictures ! and congratulation for your excellent work in 2008. Outstanding work! Most inspiring! Bravo! They are realy wouderfull and full of energy shots. This is an absolutely stunning gallery, I have appreciated looking at it. I love your imagination, your passion, and the fact you can execute such dramatic, soft photos. I particularly enjoy the outdoor work. I look forward to see what you come up with for 2009. Your worik is very high quality. congrats on these great works in the year of 2008. Best wishes in 2009. Happy new year! Which pleasure to see again all these jewels ! Many thanks, congratulations, and best wishes to you, Richard. BV. What an accomplishment, dear Richard! May you find bigger and better challenges in your art, and I wish you greater success and a Very Happy New Year 2009! Fabulous header and stunning collection. Happy New Year! THE WORK EXTRAORDINAIRE!NOT SEEN ANYTHING LIKE THIS IN THIS CATEGORY! PHOTOGRAPHY AND THE DANCERS NO COMPARISON. An exceptional gallery, Richard. What a joy to scroll through it slowly. 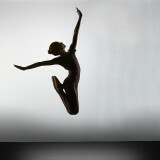 All your dancers (and friends) have remarkable grace and motion, which you are somehow able to capture. Suspended... Your photos always make me want to try a new painting... big vote! Huge smile on my face..what a treat to see such memories in one fantastic gallery, Bravo, Richard..Bravo to all the dancers..Vote for all! What a fantastic year you've had in 2008. I can't wait to see what you come up with in 2009! Amazing dancers. Amazing images. Happy new year! Happy New Year to you, Richard! I have always enjoyed your work. The way you freeze time and make the frozen moment dynamic--perfect and delightful, always. Always a fan of your work Richard, Happy New year! A wonderful collection of the best of 2008. chapeau. One of the best if not the best photography I've seen in 2008. Happy New Year Richard! May you have tons of great and amazing images to come. A guid new year Richard you brought so much pleasure to everyone looking in. A happy New Year to you and many more to follow. Irresistible compilation of your best Richard. All the best for you and yours in 2009.
thanks for sharing - looking fwd to 2009 and what you gonna come up with! Marvellous collection Richard! Thanks for letting me know about it - please keep it up in the future, too:) Big vote! One of the best galleries I have seen here. V.
Excellent gallery!!! Very beautiful and artistic images!! Great photographer!! BV!! another set of great class! Richard You are a master photographer this gallery is Fantastic andI look foward to seeing your 2009 work. Just Masterpieces!! !, I Hope to enjoy in 2009 with your magical world. Big Vote. Another year of Richard Calmes stunning the world. Wonderful job -- you are quite an inspiration. as usual, these are all awesome photos! 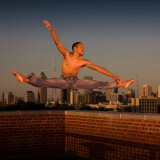 Beautiful shots of beautiful dancers -perfect timing, Richard. V!!! My friend, you have done it again. These photos go beyond sight, all the way to your soul. These beautiful ladies have such amazing talent, and you capture it like no one else I have seen. Thanks again for sharing and I will be back. I am looking foreward to the 2009 photos. "V"
this is an amazing gallery,full with goodies. Richard, you are my photo hero! No one comes even close to you in catching action. Your lighting and composition are perfect! You really should publish some coffee table books. Needless to say, you got my vote! A fine checkpoint in your photographic life...you certainly had a great year creatively, and I look forward to more of your brilliant photography in the coming year! Happy to see your composite gallery as I had missed some of them. Once again, you are at the top of the mastery of light, compositionn and subject. A truly amazing piece of Art Richard. Thanks for sharing all these stunning Images. Hard to make a choise, so I don't. Fantastic work !!!!! A big, very big Vote. HI Richard, congrats to your great achievement of 2008. Lots of great dancing shots. Its your profession. Merry Xmas ! EVERYTHING IS SO LIVELY 'I FEEL I AM WATCHING IT "LIVE"
ALL OF YOU HAVE A GREAT CHRISTMAS AND HAPPY NEW YEAR!!!! Fantastic Gallery! Big Vote, I look forward to seeing what you create in 09! Big votes for this collection of first class photography. Each shot is expressive and full of motion, I love it. Congratulations for this achievement in 2008. I look forward to seeing your upcoming "gems to the eye" in 2009 ! Congratulations Richard! You were born to shoot dancers in an exciting and creative way. All of galleries and images are very special and I'm looking forward to seeing more in the coming months!! La creme de la creme. Merry Christmas and all the best in the new year to you, Holly, Bandit and the rest of your clan. A touching and lovely compilation of your year. Outstanding work. I can't wait to 2009 !!! Truly outstanding work Richard! Really enjoyed all your dancer shots in 2008. Happy Holidays! Vote! Excellent choice of your great shots! What can I say:...the best of the best!!! I hope you will enlighten our hearts and soles in 2009 with more of these fantastic pictures. Happy Christmas,and for soon,a very Happy and Healthy 2009! El mejor regalo para los sentidos. TO THE DANCERS, YOU BRING A JOY YOU JUST DON'T REALIZE!! Another breathtaking gallery with all very selective images..Chapeau..
Hard to pick just one, all of them stunning Richard. They all deserve number one choice. I always feel so smug because i can pick just one but you must be fair and not pick just one:)all of them are winners!!! YOU MY FRIEND ARE STILL THE BEST! !